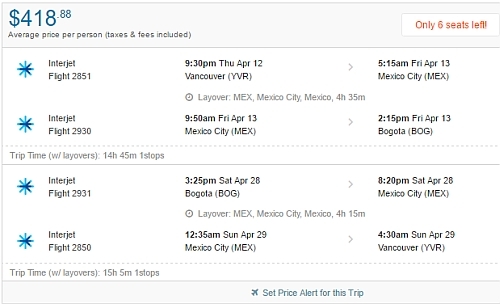 Related to today's price drops from Vancouver to Mexico, there are cheap flights available from Vancouver to Havana, Cuba for $331 CAD roundtrip including taxes. However, the flights have an 18 hour overnight layover in Cancun on the way there. The flights on the way home have a 4 hour layover. Interjet's lowest prices from Canada to Cuba include 1 piece of checked luggage. These flights are interesting because most 'flight only' prices to Havana are usually quite expensive, especially from Western Canada. Most flights to Havana are bundled as part of a pre-packaged trip, and those are usually much faster flights (Air Transat has some that are non-stop). 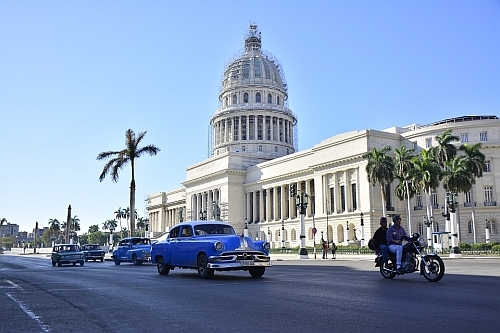 But if you're looking to visit Havana independently, these flights could be worth a look. - Try dates in the months listed above. TIP: After your Flighthub search completes, click on 'Flexible Dates'. vancouver, yvr, flight deals, caribbean, western caribbean, greater antilles, interjet, havana and cuba.